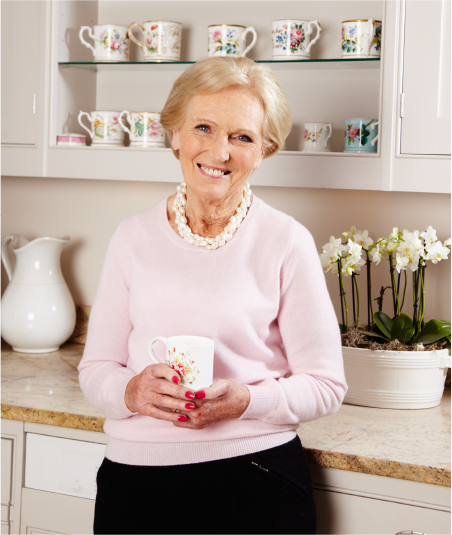 Mary Berry is a well-known and highly respected cookery writer, TV cook and Aga expert. Mary throughout the years has become a trusted and down to earth cook who produces fool-proof recipes time and time again. Mary was honoured with a CBE in the 2012 Queen’s Birthday honours list for her services to the culinary arts. Along with her daughter Annabel, Mary started recreating family recipe dressings and sauces to sell to consumers and in 1994 the Mary Berry’s range was launched. For the mother and daughter team it was about delivering top quality dressings and sauces, using the very best ingredients. Mary Berry's now has a great presence in the grocery stores nationwide with a premium range of dressings. See our product pages for more information on the range. © 2019 RH AMAR & CO LTD.